This post is very, very overdue. 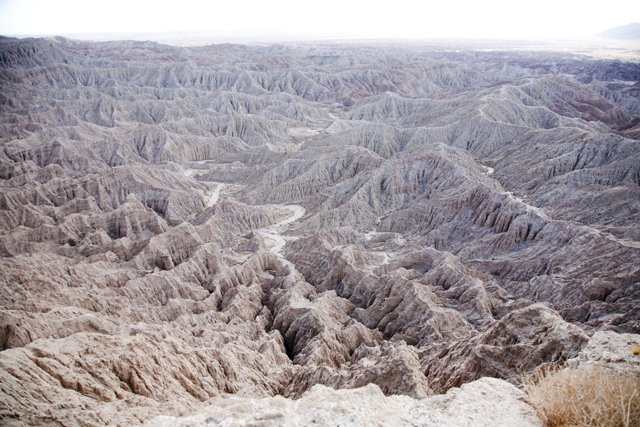 Justin: If I had to describe Anza Borrego in one word it would be rugged; its dry, windy, hot in the day and cold at night. 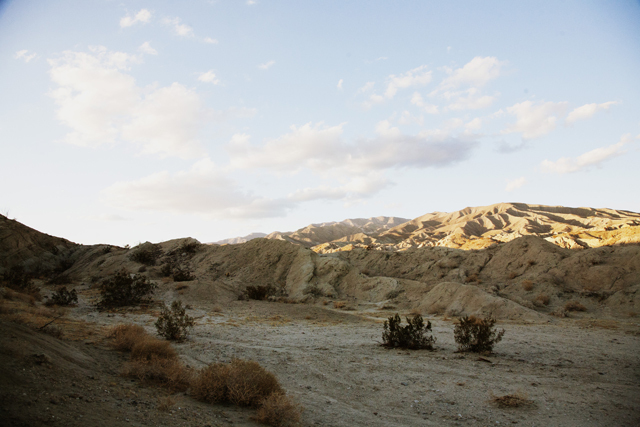 But with all its ruggedness comes some of the most amazing scenery we have laid eyes on. 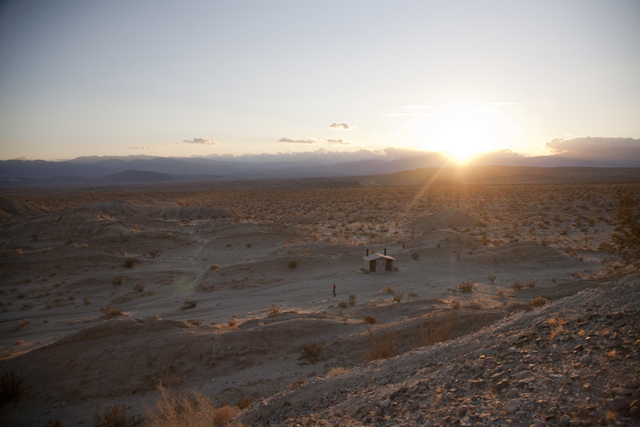 This place has an other-worldly feel to it. Most campgrounds we've been to have signs that tell us the specific areas we can camp, but in Anza Borrego the signs tell you the specific areas you can't camp. 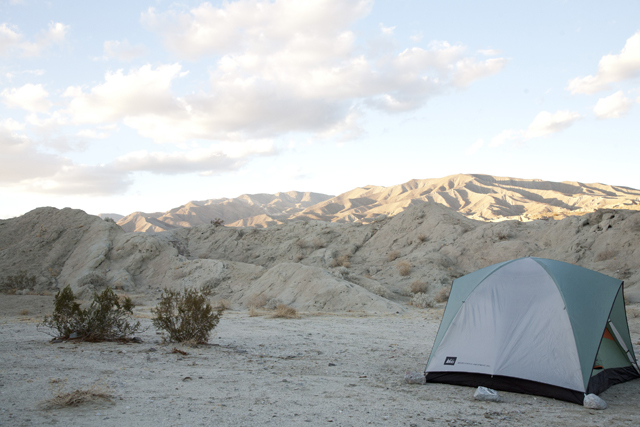 That makes just about the whole park your campground. 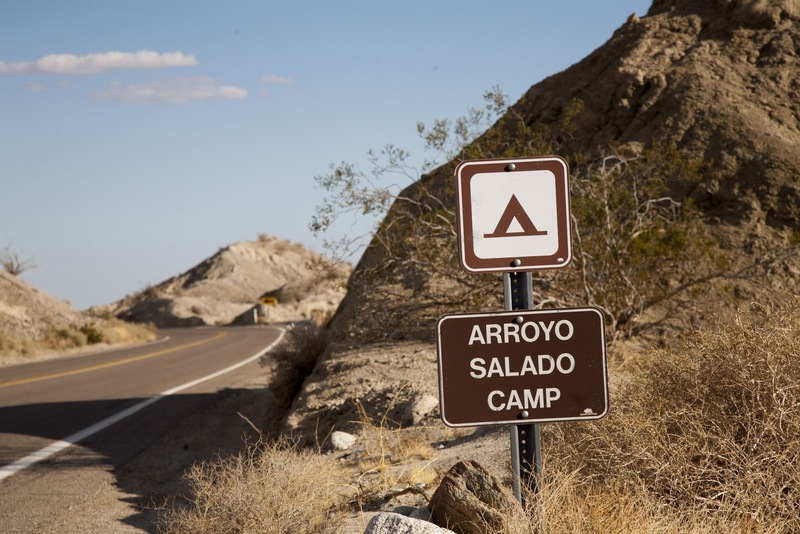 We stayed at Arrayo Saldo, one of Anza's primitive campgrounds. Primitive meaning there is nothing except a vault toilet, so bring all that you need. 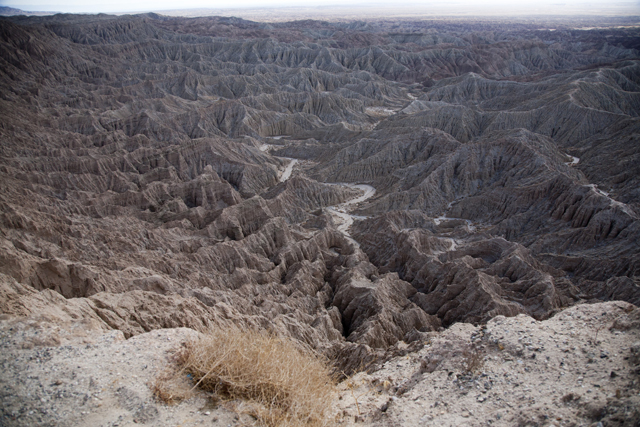 The campground is set among some small hills in the badlands in the north-eastern part of the park. There is a small network of roads among the hills with places to camp along them that offer some protection from the wind, but on windy nights there's no escaping it. This trip killed our 17 year old tent, she just couldn't handle the wind in her old age. RIP dear tent, you were good to us! I will never forget little JW waking up at 3am to our tent caving in on us with a stern look on his face pointing up at the tent and saying, "No! No! No! Shhhhh". It made the situation laughable, for at least a moment. A very important thing to bring is a metal container for a fire. The rangers are very strict about this. Also, a table that is big enough for your group makes cooking a whole lot easier. Something to provide a little shade during the day is key if you have little ones, we tried to get out and explore in the car during the hottest part of the day so JW was not in the hot sun. Having an all-wheel drive vehicle is good, but something with high clearance and 4-wheel drive will allow you to really explore the park. Our AWD Subaru Forester did great on the sandy road out to Fonts Point, but the sand was deep--we were sliding all over the place and I have a feeling if we had stopped we would have gotten stuck. 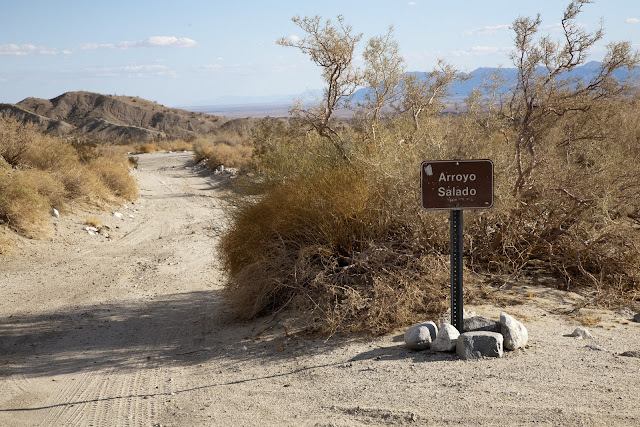 Most of the dirt roads have patches of sand, and some follow washes of deep sand for long stretches, so be careful if your in a 2-wheel drive vehicle. 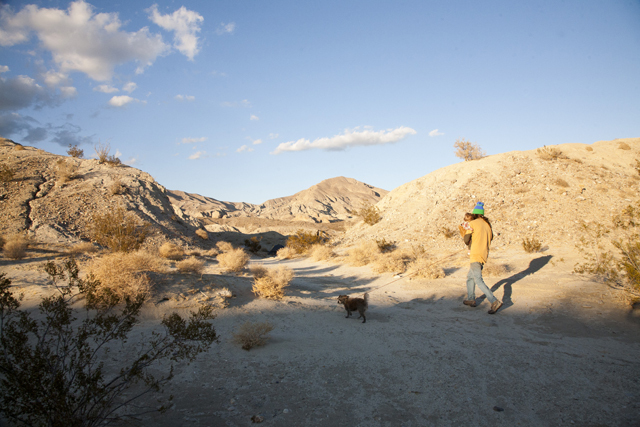 There is a lot to explore in Anza. 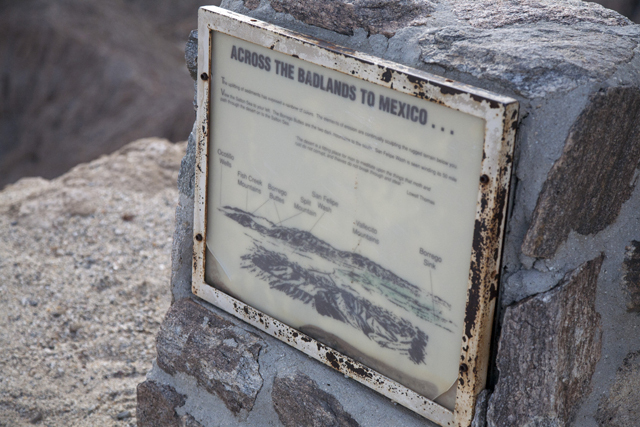 From thousands-of-year-old Native American sites to mind blowing wild flowers, some of the best slot canyons in Califorina to the only Calcite mine in America, the biggest curved trestle bridge ever built and that's not all of it. 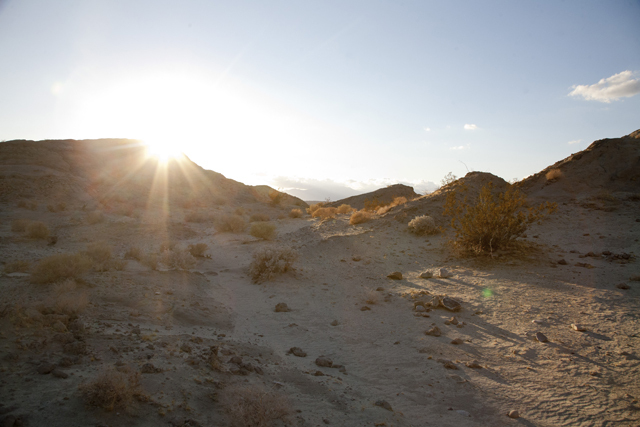 We plan to explore this place for years to come. 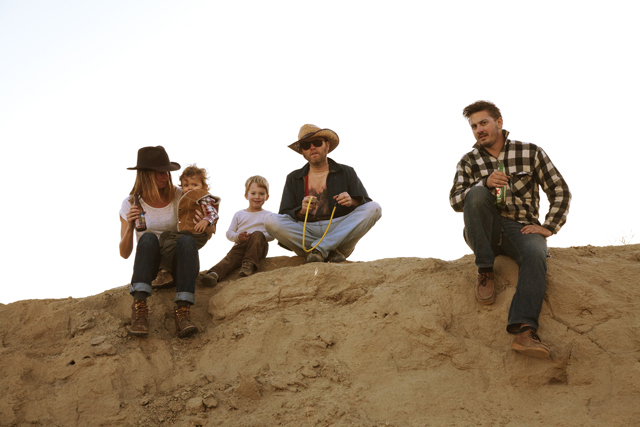 Amanda: This trip was truly rugged. 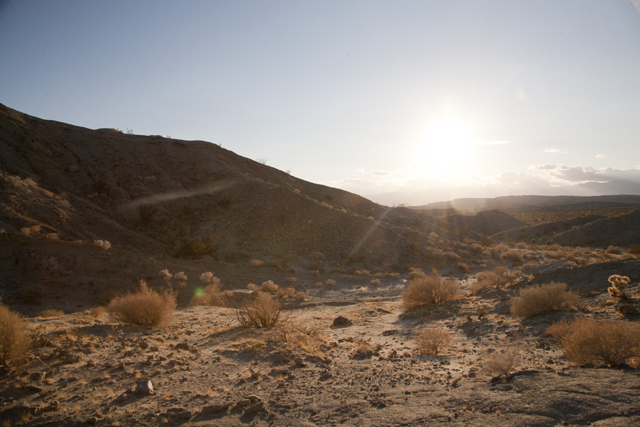 The desert can be brutal with the strong sun and the dry wind. When we got there we all huddled in a small piece of shade. Then later that night it got cold, the wind picked up and didn't stop ALL NIGHT. I was awake for most of the night, and so was JW. He has been sleeping better at home and I had high hopes for him sleeping well on this trip, but the wind made it impossible. We have a really old tall tent that was practically sideways, and it was making violently wiping and flapping sounds all night. JW didn't stand a chance. He woke up at least every hour and because of the noise I just laid there staring at the slanted walls of the tent feeling terrible that I put my baby through a rough camping trip. Bitter sweetly we decided to retire our tent after this trip. I wanted to burn it and leave in it the desert, but maybe I'm too dramatic. The vault toilets were nice and new. A friend of ours who had just come back from the bathrooms was really freaked out by what he called a very "pissed off" snake that hissed loud and angry every time the door was opened. Looking for any excitement we decided we should all go check it out. I (Justin) ended up being the one sent into the restroom with an axe (I was forced to carry it for protection, but I would never kill a wild animal!). I opened the door very slowly and peaked my head in and saw no snake, I was confused. As the door was closing quickly we heard the HISS! The HISS got us going again, things were getting exciting! But one in our group had the bright realization "uh, I think it's the sound of the bottom of the door brushing along the floor." "....." He was right. The highlight of our trip was Font's Point. 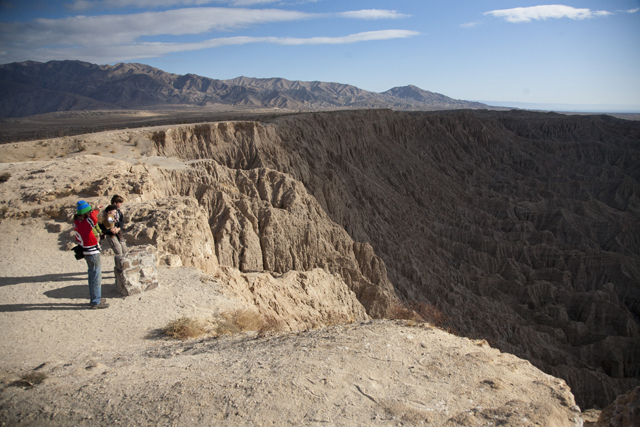 We never knew a mini Grand Canyon existed in Anza Borrego! Justin found directions and we made our way down a four-mile SAND road to get there. The sand was so thick that 4-wheel drive was recommended. The best we had was our AWD Subaru. The Smiths piled in our Subaru with us and we flew at a consistent 35mph the whole way, without slowing down a pinch, to insure we didn't get stuck. Justin drove white knuckled the whole way. ... and I may or may not have been holding my breath the whole way. The drive was an adventure and completely worth it. 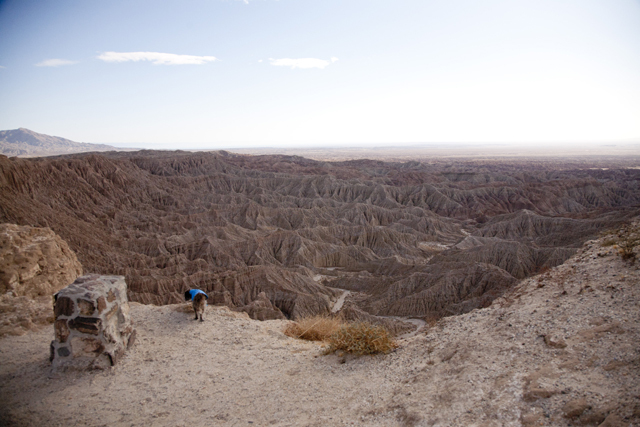 When we got to the edge of the bluff and looked down into the badlands we were all in awe.